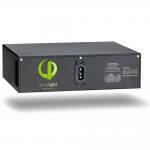 The NC25A-(X) is series regulator designed for alternative energy charging systems ranging in size from 0.1A to 25A. It is the ideal regulator for Solar (PV) and Permanent Magnet Generators (Including outboard motors and smaller wind generators). 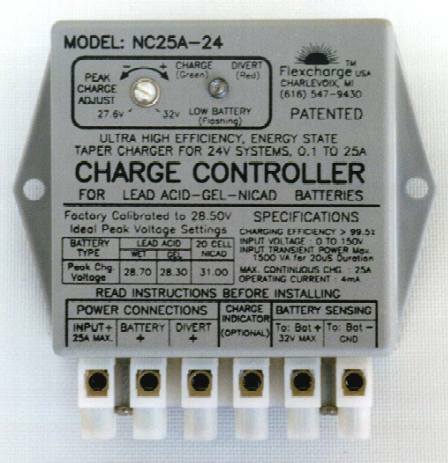 The NC25A also includes the Charge Divert feature. Charge Divert allows you to use the excess charging source energy for other tasks, or for placing a load on permanent magnet charging sources such as wind generators to prevent over speed conditions. The Divert connection is only activated after the charging source is making energy and the batteries are not using the energy (i.e. A wind generator will not be starting into the divert load). This controller can easily and inexpensively be expanded to handle one or more banks of 100A charging sources. (1000A max charging current in this configuration). Multiple battery banks can be charged with the use of a standard battery charging isolators. Highest Possible Charging Efficiency . The NC25A holds a Patent for its innovative an efficient charging circuitry. 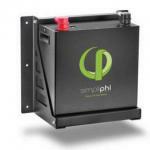 Most alternative energy charge controllers operate at an efficiency of 97%. Off hand, this sounds pretty good but lets go through the numbers for a typical charge controller. Question: How much does an 11W solar panel cost? This is precisely why controller efficiency is so critical. With a peak charging efficiency of 99.9% and an operating current of only 4mA, more of the systems charging energy will get through a NC25A into your batteries than with any other regulator on the market. 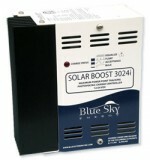 Models are available for charging 12V, 24V, 36V, and 48V systems. Use with Lead Acid, Gel, or Flooded Nicad battery technologies. There should never be such thing as a compromise to dependability when it comes to an alternative energy system charge controller as these systems are often located in hard to reach locations (mountain tops, ocean navigation buoys, polar regions, etc...). We took great care to design the NC25 for long term unattended operation; extensive transient voltage protection; high steady-state voltage protection (it is not affected by continuous charging input voltages up to 100V, the point where the transient voltage protection kicks in); reverse polarity protection on battery connections; fully sealed electronics for 100% humidity operation; etc... The NC25A is designed for Install and Forget operation. Upgrading the controller to regulate higher currents can be accomplished easily, and is relatively inexpensive.